As technology evolves, automation has become more and more prevalent in the factory automation space. Machine-to-machine enables private and exclusive communication and control over sensors, cameras, industrial equipment, robotics (check out our FANUC Robotics parts) and essentially anything else. Manufactory facilities and several other remote systems are managed much more easily with machine-to-machine advances in communication. Initially, with industrial and enterprise applications as a focal point, machine-to-machine communication was easily defined and used for a limited amount of tasks. Nowadays, there are many fewer limitations associated with the machine-to-machine communication. Pressured to lower costs and improve speed and overall efficiency, factory automation companies are often in an uncomfortable spot. While using high-end, sophisticated automation applications and tools, more real-time data must be obtained to streamline more of the day-to-day operations and tasks. Implementing machine-to-machine solutions can help with operational efficiency gains, time and cost savings, and performance optimization. From a cellular standpoint, machine-to-machine solutions enable integration of environmental controls into a single system, and to unify with security and video surveillance systems. All and all, companies are able to secure several properties from anywhere they wish to, even as they fine-tune power efficiency and decrease operating expenses. Due to the immense increase of machine-operated plants in companies who rely on keeping critical assets and functions performing optimally, several companies are exploring options associated with a machine-to-machine communication. Of the many benefits, the fact that it’s able to deliver remote access to gather real-time process data to cut operation costs is often one of the most well-recognized. The ability to identify and rectify production line faults, or design and implement preventative maintenance strategies, for example, is what machine-to-machine communication is designed for. Involving data exchange over the telephone line or via the internal with machines, plants, computers for issue detection, diagnostics, and repair, teleservice is an imperative aspect of machine-to-machine communication. Offering an optimal answer to diagnose distant systems, teleservice is becoming more and more popular and is not going anywhere. Telecontrol, another aspect of machine-to-machine communication, deals with connections of distant process stations to one or more central control systems. Many networks, both public and private, can be used for communication used to control. For these diverse applications and businesses, cellular M2M connectivity can address many business and technical challenges and enable important benefits. 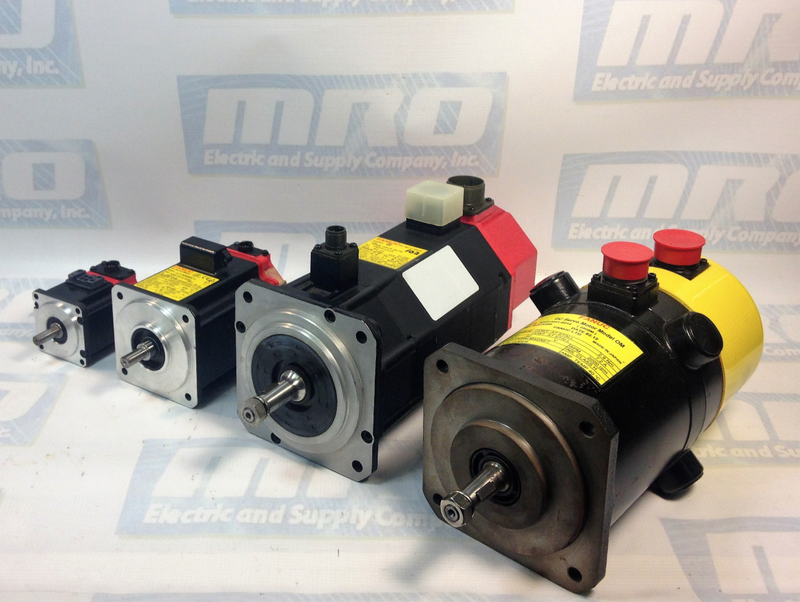 MRO Electric and Supply has new and refurbished FANUC Robotics parts available. We also offer repair pricing. For more information, please call 800-691-8511 or email sales@mroelectric.com. Additionally, M2M systems can be designed to withstand harsh environmental conditions and easily manage and control connected devices across the country or around the world. M2M systems provide flexibility to move equipment as needed, or bring up and tear down systems quickly for temporary or seasonal deployments. By using modern M2M management and application platforms, and taking care to choose platforms designed to meet real-world requirements, organizations can take full advantage of the M2M revolution. In case you were wondering, machine-to-machine systems are indeed designed to withstand environmental conditions and easily control connected devices in any location. They are flexible and can move equipment with ease. In order to use machine-to-machine communication optimally, look into management and application platforms. Click here to view our article on IT and Robotics. In the factory automation space, productivity is much more than an imperative management concept; it is a scalable tool that drives employees and processes to be functioning at their best. In order to keep employees on track and enable goals to be met in the workplace, fine-tuning processes and running a ‘tight ship’ as far as time management is concerned is considered best practice. As far as work is concerned, understanding where to start is the first, and often, most difficult step. Understand what may set your company back, whether it be a worn down motor (such as a FANUC CNC Motor) not performing up-to-par, or a poorly-maintained Servo Amp (such as a FANUC CNC Servo Amp). Missing expectations due to a faulty machine is avoidable, as seen in this article focusing on Maintaining Automation Machine Tools. To ensure your teams’ insights aren’t hindered, consider documenting priority-oriented processes such as customer service, client retention, and cutting operation costs, that way, more focus can be put toward improving workflow, coaching employees and pinpointing other areas that could be improved on. Take industry benchmarks into consideration; they can be used as a point of reference to determine if an area can be improved in, or if it’s already up-to-par. Along with documenting the aforementioned processes, keeping track of progress and growth can also aid in fine-tuning. In order to remain on the same page with employees, ask for their buy-in and try to understand where they’re coming from. They may help shed light on problematic areas such as why certain departments aren’t working as closely together as they could be, or if downtime could be minimized by having two departments working together more effectively. By making employees feel valued and trusted, a company is less likely to run into honesty issues, communication issues and/or issues with collaboration. The foundation for productive operations starts with an honest, well-communicating team. Teams need to have an in-depth understanding of where they’re expected to add value and, of course, what the company is working toward as a whole. Eliminating clutter in order to have a well-focused and productive team is an achievement that most of those in the factory machine automation space don’t lose sight of. 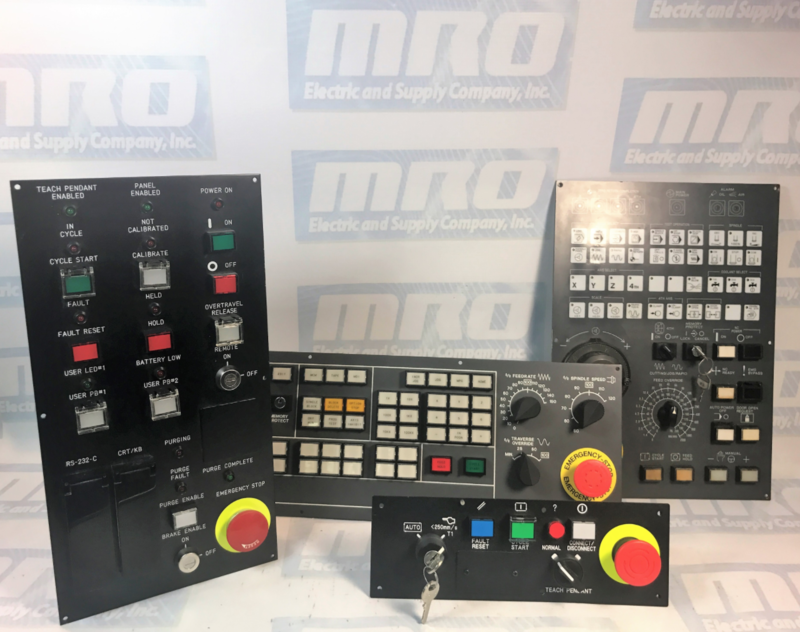 MRO Electric and Supply has new and refurbished FANUC CNC parts available. We also offer repair pricing. For more information, please call 800-691-8511 or email sales@mroelectric.com. These days, there are shortcuts and tools for essentially any and every niche. Many of those in the machine and factory automation space are focusing on robotics (see FANUC Robotics parts) to explore ways to automate processes in hope of enhancing productivity. Be sure to stay ‘in the loop’ when it comes to tools that could enhance one’s productivity through collaboration, etc. Automation has been in mind for not just decades, but centuries. Whether we’re talking about those who worked in flour mills or those who dealt with windmills, automated processes have always been on inventors’ minds. While automation would technically result in job losses, the increased prevalence of robots and robotics parts (FANUC Robotic Parts found here) in the manufacturing, packaging, and engineering space would result in interesting implications for consumers, employees, companies, organizations, etc. Many are convinced that automation will come and take over a majority of the work done by humans in the next few decades, and some feel as though their jobs are safe. Let us take China for example. China is one of the most dominant manufacturing hubs in the world, supplying a huge chunk of the world’s electronics products. Over the past few years, Chinas’ factories cut human workforce by an astounding average of 50%, due to the increased prevalence of robots. Are there Advantages of Workforce Automation? There are limits to mostly everything, and automation is no exception. Short product life cycles that quickly become obsolete and ability to entertain fully-custom projects do not fit into an automation system. For example, paying for a large number of robots to build an electronic product that will become obsolete in less than a year would not be a smart decision from a business standpoint. The ability to be flexible and custom is imperative when concerning several products in several different markets. Robotics in machine automation is becoming a larger part of the workforce as time goes on. Some companies plan to simply increase production levels with the help of robots and robotics parts while keeping their employee count the same and reassigning their workers to other positions within the company. With the addition of robots and robotic parts in the workplace, workers will be needed to maintain robots, calibrate and monitor them, analyze data and more. The rise of robots and robotic parts is unavoidable in several niches. Today’s technological prosperity is changing tomorrow’s workforce for good. 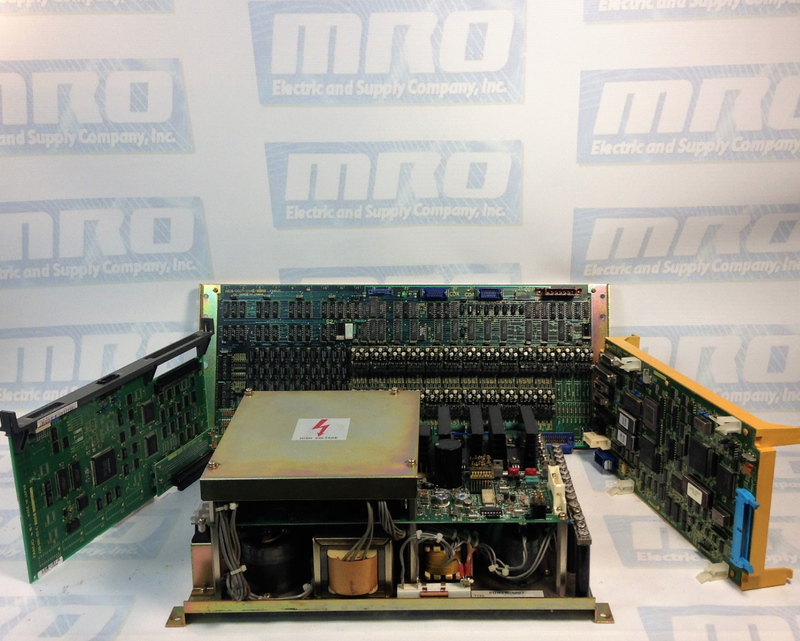 MRO Electric and Supply has new and refurbished FANUC Robotics parts available. We also offer repair pricing. For more information, please call 800-691-8511 or email sales@mroelectric.com. Lastly, be sure to check out our articles on boosting factory automation productivity here. Information Technology involves storing, retrieving, altering and transmitting massive amounts of data. Because IT is heavily reliant on computers, automating the field is definitely the most practical direction. Slowly taking rein in the sector, RPA (Robotic Process Automation) is terminating the manual effort associated with IT tasks and business processes. RPA grips technologies such as AI (artificial intelligence), machine learning and vision, big data analytics and, eventually, quantum mechanics, to complete several tasks. Simplified robots (such as FANUC Robotics products found here) that execute a script to recurrently execute a specific function. Cognitive RPA/software-based AI that learns the tasks they are presented with and learn how to make choices on their own. Currently, large global IT and BPO (business process outsourcing) organizations are using lesser forms of RPA. Using RPA enables organizations to provide IT services at higher efficiencies and minimize costs. Utilizing RPA enables organizations to provide IT services at increased efficiencies while cutting costs. Many say that a handful of companies are currently in the early stages of conducting RPA proof-of-concept trials, while some are entertaining production pilots. Many IT service lines are expected to come under RPA’s influence. Helpdesk is a field that falls under this category. RPAs could potentially automate non-ticketing activities that, as per IT reports, occupy 25% to 40% of a helpdesk’s tasks. Some of these tasks include monitoring, providing clarifications and reporting. As for ticketing, RPA could assist in automation common service requests such as password resets. IT infrastructure outsourcing is another area that is expected to be impacted by RPA. In this, robots (such as FANUC motors, amplifiers, and drives) could observe critical thresholds and, under certain threshold breach conditions, could even fix the issue. Companies have already started to leverage RPA for many of their client projects. Processes that mandate RPA include rule-based, high volume, several systems, repetitive tasks, data mining, or data entry tasks. 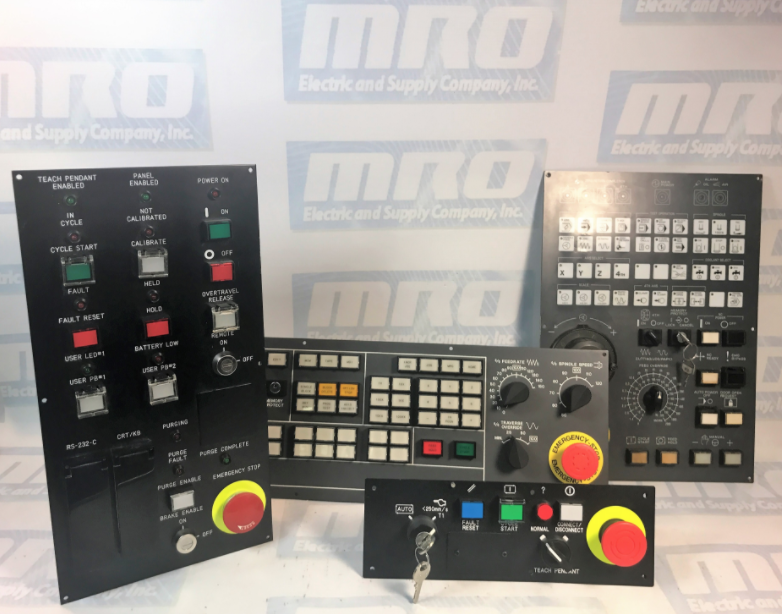 MRO Electric and Supply has new and refurbished FANUC Robotics products available. We also offer repair pricing. For more information, please call 800-691-8511 or email sales@mroelectric.com. RPA slashes labor costs immensely. The technology offers a less prying way for integrating systems because software AI access applications through the user interface. Robots would connect to various UIs, including legacy green-screen applications, and would not touch the underlying software. RPA projects require less time and money when compared to traditional automation. AI robots will provide better quality, faster processing times (within hours compared to weeks with manual approach), major improvement in traceability for audit purposes, and increased high-speed analytics. RPA would easily scale and address fluctuations in volume. Automation projects, as per industry experts, should not take more than a year to complete. They would likely cost between half a million USDs to two million or more, depending on the number of robots and their complexities. Check out our article on factory automation and machine-to-machine learning here. The FANUC A06B-6105-H002 is a servo amplifier used with the FANUC Robot Module R-2000iA. Usually, these amplifiers are factory set for operation, so you do not need to set or adjust them. However, if you need to configure or troubleshoot your A06B-6105-H002, please follow the instructions below. Take note that before touching your FANUC Robotic drives, you should always check the voltage at the screw above LED “D7” to ensure that the remaining voltage is not higher than 50V. The following table highlights the various LEDs on the A06B-6105-H002 and their meanings. P5V Green Lights when the power supply circuit inside of the servo amplifier outputs a voltage of +5V normally. P3.3V Green Lights when the power supply circuit inside of the servo amplifier outputs a voltage of +3.3V normally. SVEMG Red Lights when an emergency stop signal is input to the servo amplifier. ALM Red Lights when the servo amplifier detects an alarm. RDY Green Lights when the servo amplifier is ready to drive the servo motor. OPEN Green Lights when the communication between the servo amplifier and the main board is normal. WD Red Lights when the watchdog alarm is detected in the servo amplifier. D7 Red Lights when the DC LINK circuit inside the servo amplifier is charged to reach a specific voltage. If you need to replace the A06B-6105-H002 amplifier on your R-2000iA, ensure that you begin by first turning off the control unit main power. Next, detach the amplifier cover and pull out the cable. Check the screw above LED D7 with a DC voltage tester to make sure the remaining voltage is not above 50V. Remove the two screws located on the top of the amplifier. At the middle top of the drive, there is an M5 screw that fastens the amplifier during the transport of the cabinet. After installation of the cabinet, remove the screw as this will help improve maintainability. After these steps are complete, you can pull the amplifier toward you using the handles located at the top and bottom. Be careful not to touch any components on the lower part of the drive’s PCB, and try not to damage any cables routed under the amp when pulling it out. Use a slanted angle when pulling it out. 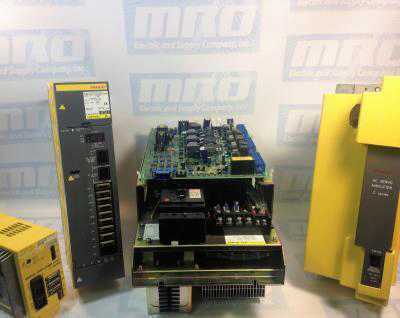 MRO Electric and Supply has spare FANUC Robotics AC and DC Drives available. For more information or to request a quote, please email sales@mroelectric.com or call 800-691-8511.
replace the drive the parameters will go with it. MRO Electric and Supply maintains a comprehensive stock of new and used FANUC Robotics Drives parts. If you need a replacement part, please call 800-691-8511 or email sales@mroelectric.com. controls. 16iA,18iA,21iA,16iB,18iB,21iB,20i,16,18,21,0i,Powe rate-iD and Powermate-iH. (MD2) = 0 and PRM 960.1 (MD1) = 1, to save as a part program make PRM 960.1 = 0). 10.To save parameters from Beta drive to CNC press the READ soft key, press the ALL soft key then the EXEC soft key. 11.To restore the parameters from the CNC to the Beta drive press the PUNCH soft key, press the ALL soft key, then the EXEC soft key. Be sure to check out our A06B-6105-H002 – FANUC Robotics R-2000iA Servo Amplifier product page to get the best deals. We recently shipped out two Fanuc A16B-3200-0040 boards to a customer and upon installation, they received a Fanuc CHECKSUM error on their control. Here are the notes that we use to troubleshoot this Fanuc error which can be used to try and solve the problem. There are two common causes for this problem. The first and most likely is TP communications. If you see 3-5 “_” appear under the checksum number, and no red LED’s on the CPU, then this is the problem. This means that 1/2 the communications signal is missing. Swap the Pendant and cable (Cable is probably crushed or cut), and everything should hopefully be great. There is a possibility of damage on the CPU side, however.